It takes a talented author to be able to keep an audience engaged and wanting more after three books. I'm repeatedly blow away by Aleatha’s writing, her ability to weave a story that you never quite know what to expect. 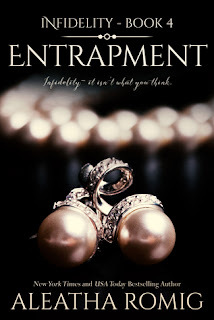 Needless to say she worked her magic with Entrapment. This is my favorite work of hers. I have read everything that she has out there, so that is saying a lot because they are all fantastic. Aleatha, you see she gave us these characters that are unforgettable, gregarious and just plan awesome. They have infiltrated my dreams. I need to know how this all plays out. I worry about them; See now I sound crazy. In all honestly the story is that great! The character are relatable, their love is genuine and steadfast. 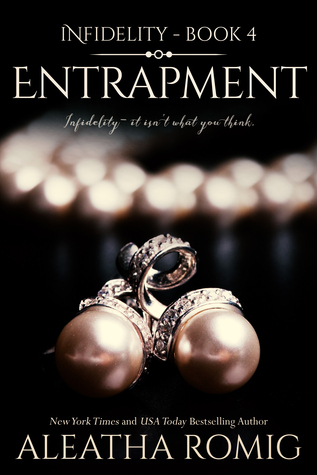 Entrapment starts where Deception left off, Charli is in the Limo with Alton. As you can imagine Batman is pissed. But instead of a complete meltdown, he understands that there is a reason why and he will find out that reason. I love Charli and Nox, I really can’t say anything else. Their strength and determination to be together despite being apart; there is no doubt in either of their minds that the other doesn’t love or want to be with them. To watch their progression as a two individual fighting the connection that they share; watching that spark turn into the blazing love affair that it is. Oren just keeps making me fall deeper and deeper for him. I’ve always thought he was a good guy. I get that he has done horrible things in the past but he does have some limits, namely his son and his two loves. He will move mountains to protect them. Nothing will stand in his way. I honestly don’t know what I will do if Aleatha makes him out to be a bad guy. Alton and Bryce and Suzy need to just go. They’re horrible. I can’t even talk about them. The amount of lies and deceit that they’ve committed and don’t even blink at is crazy. I hope Aleatha has a special place in hell planned out for them. My final thoughts are this. Read this series, then come and find me at The Review Loft to chart. wow this book sounds so good! Thanks for review!